S|N|A manufactured and installed a high-resolution LED video wall at 350 Mission Street in San Francisco. 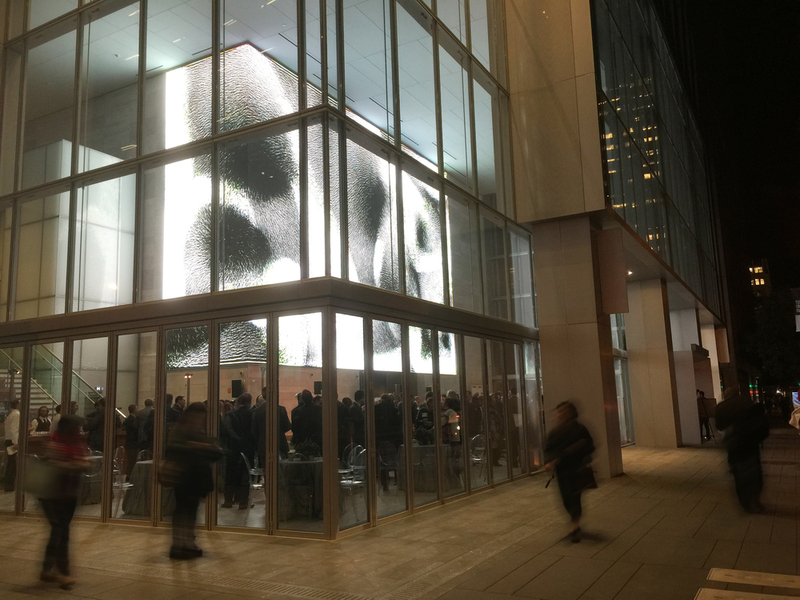 The state-of-the-art 6 mm LED display was unveiled to the public during a digital art show organized by owner Kilroy Realty Corporation. The LED video wall was installed as part of a new office tower developed by Kilroy Realty. The 30-story high-rise is located on the north corner of Fremont and Mission streets in San Francisco’s newest business district. The building is adjacent to the site of the Transbay Transit Center. 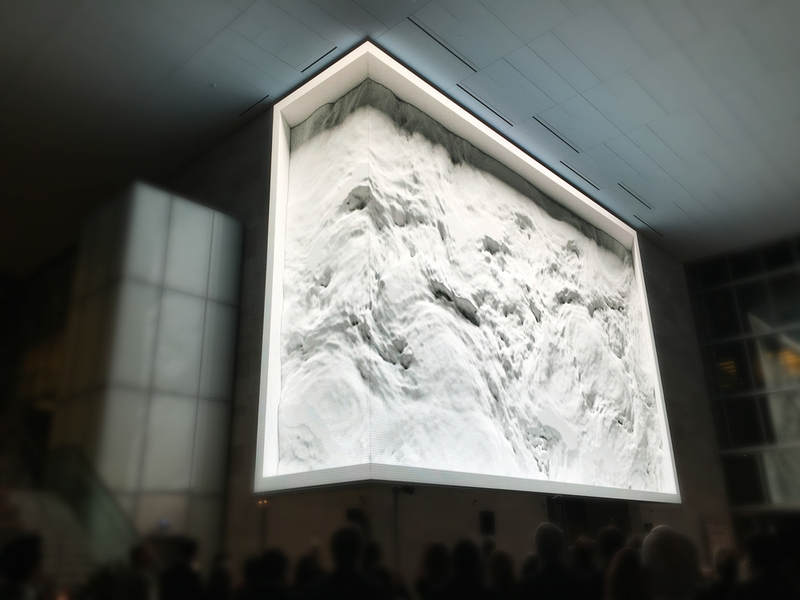 Kilroy Realty and the City of San Francisco commissioned acclaimed media artist Refik Anadol to create an immersive public art installation on the LED canvas for the unveiling event. Anadol's work was titled "Virtual Depictions: San Francisco." The show included a series of parametric data sculptures telling the story of the city and the people around San Francisco within a unique artistic approach, according to Anadol's site. "I'm very, very satisfied," said Anadol about the unveiling event. 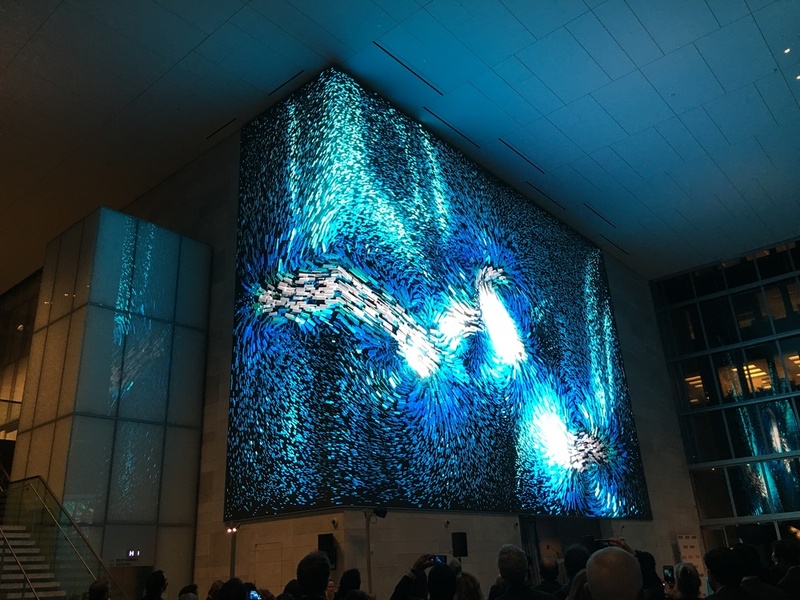 "Having a dynamic artwork and real-time data sculpture concept was a stress on the creation side, but in the end it fit perfectly for the City of San Francisco. This is the first time I have used such a high-end system." The high-resolution LED screen is part of S|N|A’s indoor S|Video™ line of high-end video products. It features a 6 mm pixel pitch, meaning the center of each pixel is only .24” inches from the center of an adjacent pixel. At 38’7” high by 68’6” wide, the installation consists of 2,643 square feet of digital canvas. The interior LED display wraps around a 90-degree lobby wall corner. S|N|A designed and manufactured a custom corner module for the project, providing in a tight seam at the turn. The display includes 1,960 pixels high by 3,480 pixels wide including the side wall. The resolution of the lobby wall display consists of 6,820,800 pixels. A huge benefit of the S|N|A display system at 350 Mission, where various artists and content managers will provide digital content, is its flexibility and compatibility with a wide range of software products. The LED display system is capable of displaying 4K content natively, but the screen can also be segmented for a variety of looks and purposes. It can play a combination of animations, video, imagery and live data simultaneously. The system includes an audio component as well. S|N|A designed and installed speakers throughout the lobby floor that work in concert with the video content. S|N|A partners Analog Way and Visual Image Display were instrumental throughout the project, including system visualization, engineering, and hands-on support during installation.